Get covered-up & protected but look cool at the same time with our Big Jet TV Springtime Bundle. 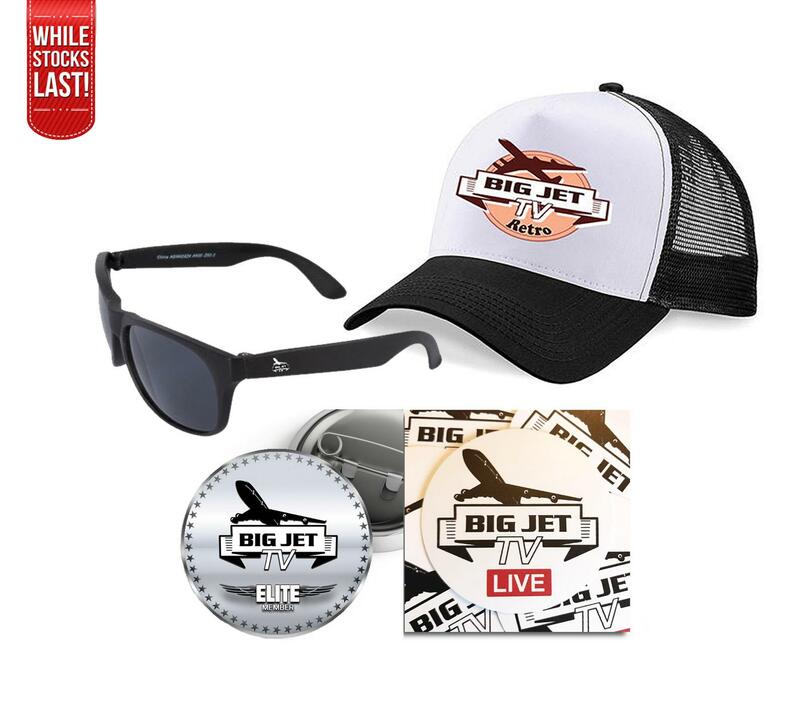 Featuring: Ray Ban style ‘all-black’ Sunglasses with Big Jet logo, Retro Cap, Elite Badge and Sticker. Prices include postage inside the UK. For delivery outside the UK please ask us for shipping cost before placing your order.